Peter Fonda apologized to the family of President Donald Trump Wednesday after writing on Twitter that "we should rip Barron Trump from his mother's arms and put him in a cage with pedophiles," in response to families being separated at the U.S.-Mexico border. In addition to targeting 12-year-old Barron Trump, the Oscar-nominated actor and younger brother of Jane Fonda added in the all-caps tweet that he'd like to see if first lady Melania Trump would "stand up against the giant a****** she is married to." Although the tweet has since been deleted, Mrs. Trump's office notified the Secret Service. "The tweet is sick and irresponsible," the first lady's communications director Stephanie Grisham said in a statement. 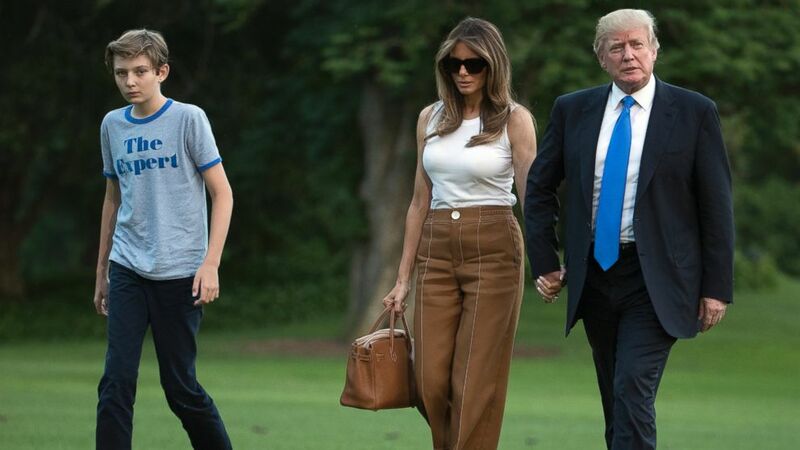 (Carolyn Kaster/AP) President Donald Trump, first lady Melania Trump, and their son and Barron Trump walk from Marine One across the South Lawn to the White House in Washington, June 11, 2017, as they return from Bedminster, N.J.
Donald Trump Jr. also responded to Fonda's tweet by reacting to the news that although Fonda's comments were condemned by Sony Pictures Classics, the film distribution company still plans to release independent film "Boundaries," where Fonda has a supporting role, according to a statement in The Hollywood Reporter. ABC News contacted Sony Pictures Classics for comment, but did not immediately hear back. "So @iamfonda can suggest kidnapping and putting a child in a cage with pedophiles and @sonyclassics won’t do anything! I guess that’s ok if you’re a liberal," the president's son wrote Thursday. "If you’re a conservative you’d face real consequences. Great work @SonyPictures. Let them know your thoughts?" Fonda, 78, apologized in a statement, obtained by ABC News, hours after his tweet disappeared, explaining that he was enraged about parents being separated from their children at the U.S.-Mexico border. "I tweeted something highly inappropriate and vulgar about the president and his family in response to the devastating images I was seeing on television," Fonda said in a statement released by his representative. "Like many Americans, I am very impassioned and distraught over the situation with children separated from their families at the border, but I went way too far." 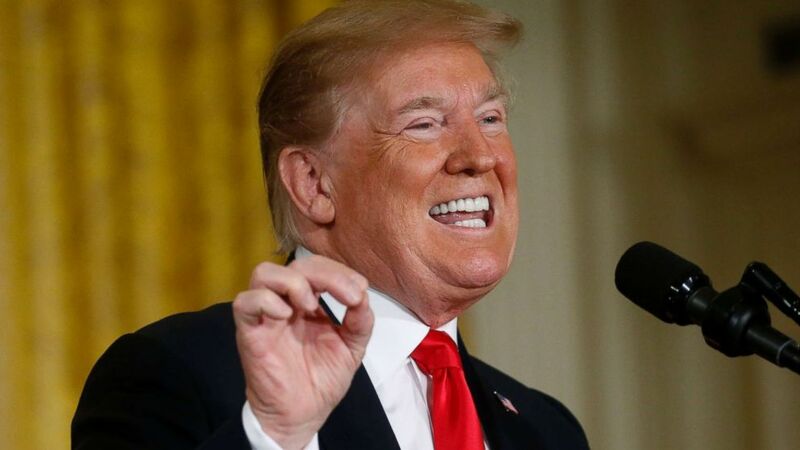 (Leah Millis/Reuters) President Donald Trump addresses a meeting of the National Space Council in the East Room of the White House in Washington, June 18, 2018. The statement continued, "It was wrong and I should not have done it. I immediately regretted it and sincerely apologize to the family for what I said and any hurt my words have caused." Fonda is the son of the late legendary actor, Henry Fonda. He was nominated in 1969 for an Academy Award for best original screenplay for "Easy Rider," and again in 1997 for a best actor award for "Ulee's Gold."